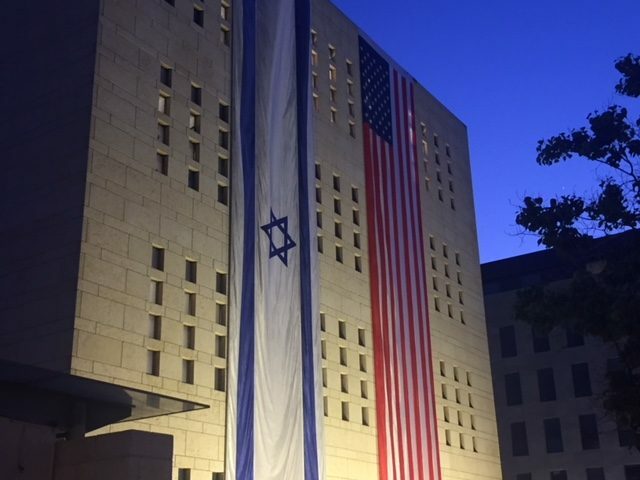 In 1995, I had the privilege of working in the U.S. Senate on the Jerusalem Embassy Relocation Act (JERA) with a bipartisan group of colleagues, including Senate Majority Leader, Bob Dole of Kansas and Senator Pat Moynihan of New York. Our bill found that “Each sovereign nation, under international law and custom, may designate its own capital,” and “Since 1950, the City of Jerusalem has been the capital of the State of Israel.” In fact, at the time, Israel – a fellow democracy and one of our closest allies in the world – was the only place in the world where we did not locate our embassy in the city designated by the host country as its capital. Our legislation aimed to eliminate that inequity by mandating that “Jerusalem should be recognized (by the U.S.) as the capital of the State of Israel and the United States Embassy in Israel should be established in Jerusalem.” There was broad bipartisan support for the JERA in the Congress, but not in the administration. Part of the reason for that opposition was the traditional struggle for influence over foreign policy between Congress and the president. But more was about the particular historical moment. Two years earlier in September 1993, the so-called Declaration of Principles of Interim Self-Government (also known as the Oslo Accords) was signed at the White House by Yitzhak Rabin and Yassir Arafat. It laid out a timetable for the resolution of “final status” issues including Jerusalem. Hopes were high then for a permanent two-state solution between Israel and the Palestinians. People who argued against the Jerusalem Embassy Relocation Act said that it would diminish or extinguish those hopes by determining the status of Jerusalem. We supporters of JERA said that was clearly not true, that our legislation would not affect the implementation of the Oslo Accords at all but simply treat Israel like every other country in the world and respect its right to designate its own capital. In fact, the United States already owned a piece of land in West Jerusalem on which we intended to eventually build our embassy, and that piece of land had been part of Israel since its re-establishment in 1948. Unless one thought that a two-state solution would involve Israel ceding sovereignty over land in Jerusalem that had been Israeli since 1948, which no one did, there was no way the Jerusalem Embassy Act would affect final status negotiations pursuant to the Oslo Accords. In fact, we argued in Congress, that moving our embassy to Jerusalem could ease the way to a two-state solution by giving Israel the confidence that the peace process, which we supported, would not result in Israel’s right to its historic capital being diminished. Nevertheless, the Clinton administration said that a premature focus on Jerusalem could undermine negotiations and complicate the chances for peace, so President Clinton would veto the legislation. That is exactly what President Clinton and his successors, Presidents Bush and Obama, did repeatedly over the next 22 years, until December 6, 2017 when President Trump recognized Jerusalem as the capital of Israel, and ordered that the American Embassy be relocated to that capital. On February 23 of this year, President Trump announced that our Embassy would open in Jerusalem on May 14, 2018, to coincide with the 70th Anniversary of Israel’s Declaration of Independence. In the Arab world, concerns have been expressed but the focus of the Arab world is, like Israel, on the great threat from Iran. It is true that hopes for the peace process are much lower today than they were in 1995, even though the Trump administration correctly continues to work for a two-state solution to the conflict between Israel and the Palestinians. In sum, when President Trump finally implemented the Jerusalem Embassy Relocation Act of 1995, the sky – as far as we know – did not fall, as so many had long predicted. There is a larger lesson to be learned from this story. America remains the strongest nation in the world and should never hesitate to make important foreign policy decisions that we believe are consistent with our national values and interests, because of predictions by others of the worst possible reaction to those decisions. Otherwise, we are likely to diminish our national strength and compromise our national values and interests. That lesson is worth remembering in a number of other foreign policy decisions President Trump has made or will soon make, including pulling the U.S. out of the Iran Nuclear Agreement and negotiating with North Korea. Joseph I. Lieberman is chairman of United Against Nuclear Iran (UANI), a former U.S. senator from Connecticut, and the 2000 Democratic nominee for vice president of the United States.